Whether you are just starting to build your first church website, or you are rebuilding and refreshing a current site, WordPress is a great solution. But there are so many different options for building your church website. You can choose a simple WordPress theme that just gives your site a nice look and feel, or you can pick something more comprehensive, that includes features such as sermon management and an events calendar. 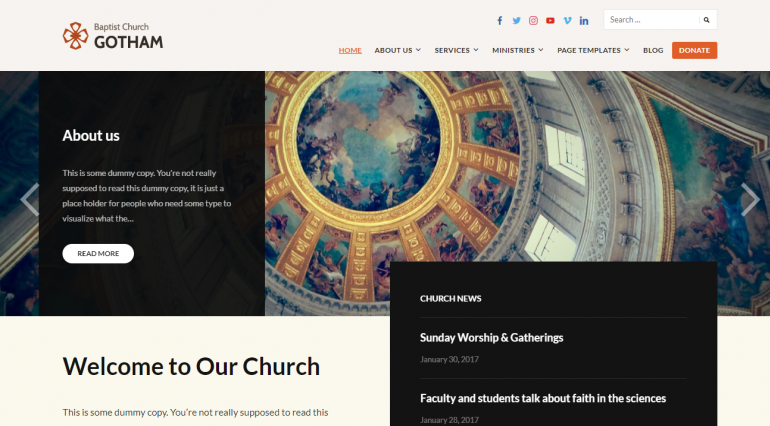 In this article, we will take a look at several different free or cheap WordPress church themes, and compare them based on look and functionality. All of these are hand picked and are the best of the best options out there. Take a look at them, and let us know what you think. We start with our own theme, MyChurch. We created MyChurch as a free option for churches that need church-specific functionality, but can't afford to buy one of the more expensive options. 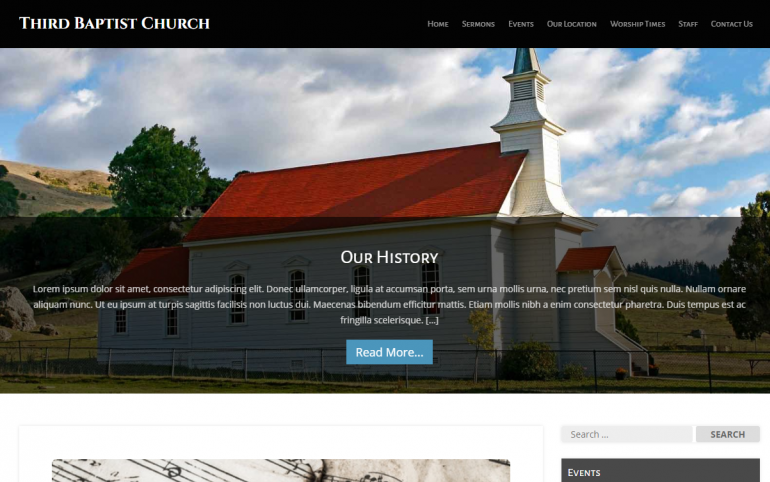 This theme integrates with the free Church Content plugin by ChurchThemes, providing sermons, locations, people, uploads, and more. Endurance is an elegant theme created by ilovewp.com. In addition to being clean and contemporary, Endurance is one of our favorite themes because it is SEO optimized, attractive, and skinable. This theme makes a great choice for a church website because it offers an events box, a donate link, and related images. Endurance is free and doesn't come with any support, so it may require some effort for beginners. Additional stuff included with Endurance are icons, background images, and fonts. Endurance is mobile friendly. Although it is may require setup support, Endurance will definitely be a excellent complement to your church website. 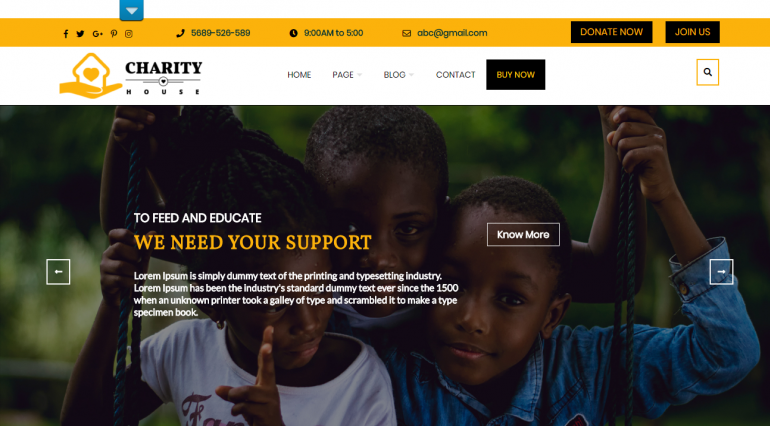 This theme is titled Charity, and it is offered by Themeshopy. It's designed for an NGO, but it works well for a church because it offers tons of customizations, donation functionality, and additional widgets. Additionally, Charity is SEO optimized, is skinable, and includes multiple layouts. Additional stuff included with this theme are icons, background images, fonts, a slider plugin, and custom widgets. The free version of Charity is geared toward more advanced users, because it doesn't offer support, and may require some effort for beginners. Charity works well on tablets and mobile devices. It's also translation ready. This theme is titled Faith, and it is also created by ilovewp. 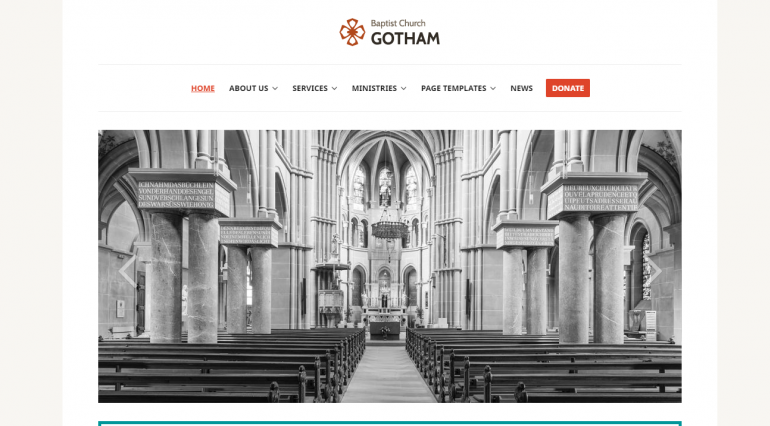 This theme is designed for a church, and it offers a volunteer page, a donation link, and several church-related page templates. We liked it since it is refined and professional. Some of the noteworthy features of Faith include: it is SEO optimized, and includes multiple layouts. Some of the things that come with Faith are icons, background images, and fonts. This theme is simple to configure, although it does not include support. Faith is mobile friendly. GivingPress Lite is a good looking theme made by Organic Themes. In addition to being professional and clean, GivingPress Lite is a great theme because it has many customization options, is SEO optimized, offers multiple color choices, is skinable, and includes multiple layouts. Although GivingPress Lite isn't designed specifically for churches, the theme makes for a great church website because it offers donations, plenty of church related page layouts, and pforessional images. GivingPress Lite is popular with a large user base, so it is quick and easy to obtain help and support. This theme is a breeze to set up, but doesn't come with support. Some of the things that come with this theme are icons, fonts, a slider plugin, and Retina images. GivingPress Lite is mobile friendly. It is also multilingual. 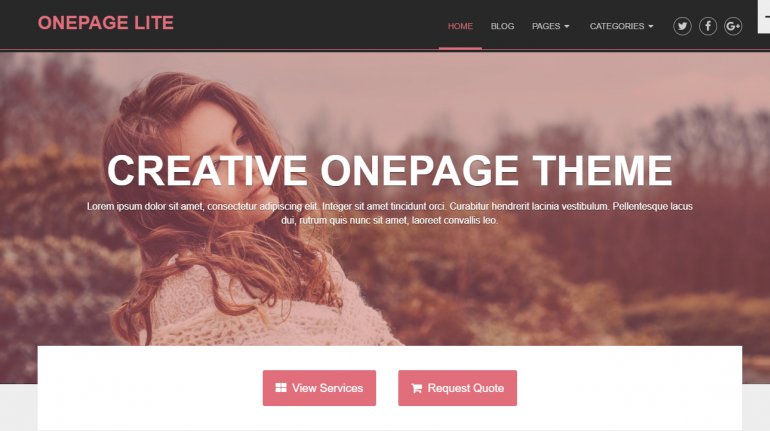 This theme is called OnePage Lite, and you can find it from MyThemeShop. Although it's not built for churches, it has a nice, single page design that works well for churches. OnePage Lite is SEO optimized, has a 1-click install process, offers multiple color choices, and integrates with social media. Included with this theme are icons, fonts, and custom widgets. 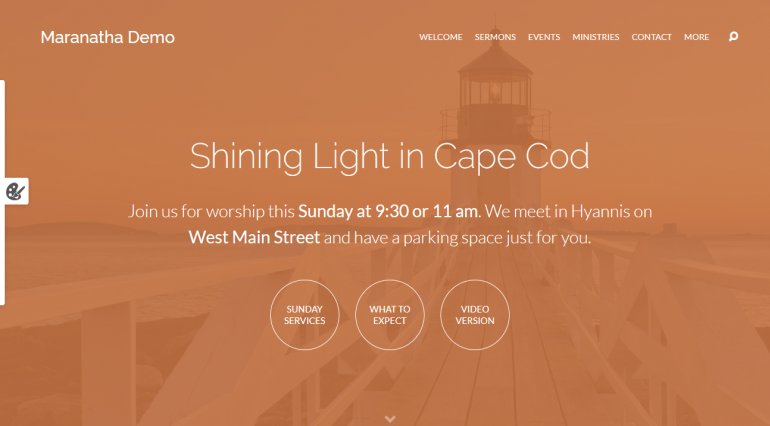 Getting OnePage Lite to fit the needs of your church will involve some modification, so it's best for advanced users. OnePage Lite works well on tablets and mobile devices.. This theme is called Salvation, and you can find it from MyThemeShop. This theme makes a excellent choice for a church website because it has a complete PayPal donation widget, an event management system, an audio player for sermons, and 24/7 tech support. While it's not totally free, it is pretty inexpensive. Some of the major features of Salvation are that it includes plugins, provides built in search, has many customization options, is SEO optimized, has a drag and drop builder, is skinable, integrates with social media, offers free suppport, and includes multiple layouts. Included with this theme are icons, background images, fonts, a slider plugin, custom widgets, and AJAX functionality. This theme is simple to configure and a snap to use. Salvation enjoys a large user base, so it is quick and easy to find help and support. Salvation looks great on mobile. The drawbacks of Salvation are that it is not free. 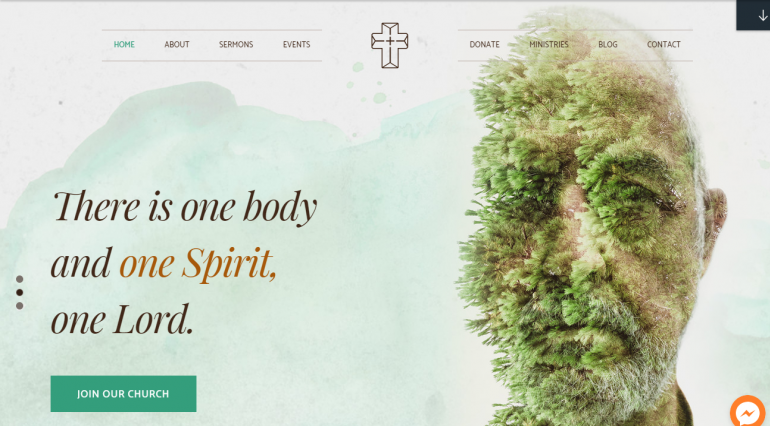 Nevertheless, this theme is a perfect option for your church website. This theme is named Creed, and you can obtain it from ThemeFuse. This theme makes a perfect choice for a church website because it offers downloadable sermons, an events calendar, galleries, and mapping. This theme is fun and beautiful. The major aspects of Creed are: it includes plugins, has many customization options, is SEO optimized, has a drag and drop builder, offers multiple color choices, is skinable, offers free suppport, and includes multiple layouts. The drawback of Creed is that in order to get it for free, you need to sign up with one of their hosting partners. You can also buy the theme relatively inexpensively. Prayer is an attention grabbing theme from CSSIgniter. 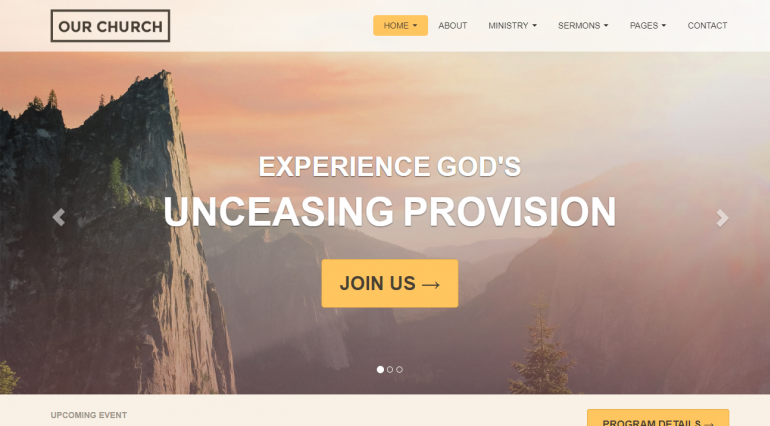 In addition to being appealing, Prayer is one of our favorite themes because it includes plugins, has many customization options, is SEO optimized, has a 1-click install process, offers free suppport, and includes multiple layouts. 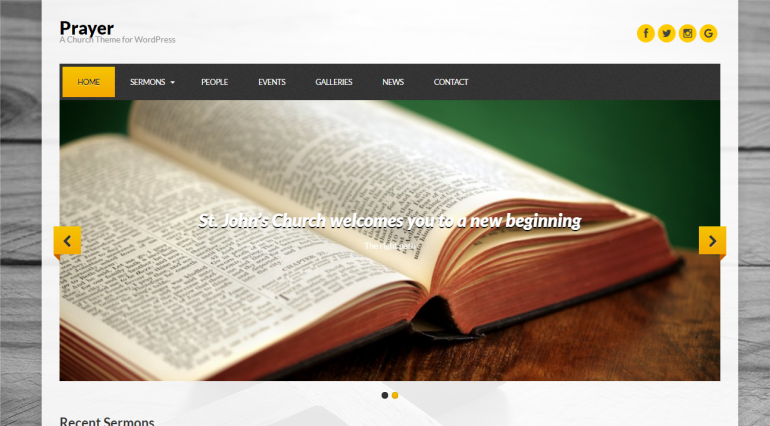 This theme makes a perfect choice for a church website because it offers a complete "sermon management" system, custom widgets, and social integration. This theme is easy to set up and a snap to use. Some of the things that come with this theme are icons, background images, fonts, custom widgets, and demos. Prayer works well on tablets and mobile devices. Although it is not free (it's pretty inexpensive, though), we chose Prayer due to the fact that it is attractive. We're certain it'll be a great addition to your website. Our Church isn't totally free, but it costs about the same as a few cups of coffee. Our Church is one of our favorite themes for churches because it gives you the full support and additional plugins of a top premium theme, but it costs almost nothing. Our Church includes plugins, has many customization options, is SEO optimized, has map integration, has a 1-click install process, is skinable, offers free suppport, and includes multiple layouts. This theme makes a perfect choice for a church website because it offers sermons, an events calendar, donations, and mapping. This theme is easy to configure and easy to use. Some of the things that come with Our Church are icons, background images, fonts, a slider plugin, custom widgets, and demos. Our Church also works well on tablets and mobile devices. This theme is named Risen, and it is available from Themeforest. We love this theme because it has so many interesting features, including a built-in sermon podcasting function, a sermon archive, a gallery, an event manager, staff profiles, church news, and more. Some of the things that come with Risen are icons, background images, fonts, a slider plugin, custom widgets, and AJAX functionality. Risen has a large user base, so it is quick and easy to get help and support. Risen is designed for experienced users, and may require some effort to learn. Risen looks great on mobile. It is also multilingual. The drawback of Risen is that it is not free -- although it's really inexpensive. Want it done for you? 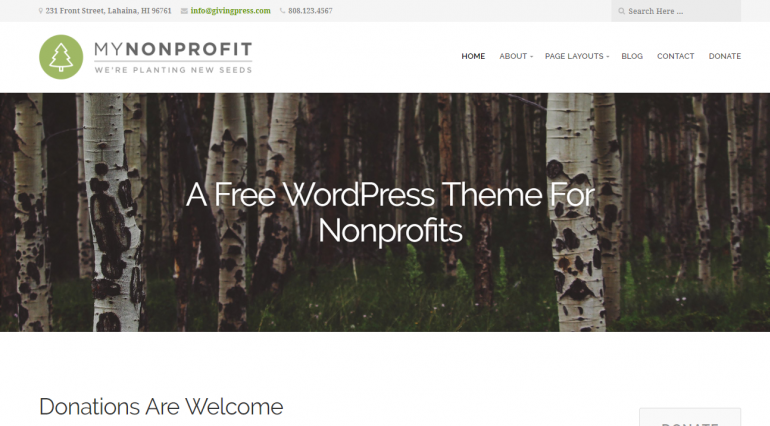 You can get your church WordPress site setup, and a theme installed for $10. Pick one of the free or cheap themes above, or something else, and a top-rated Fiverr developer will save you the time and headaches of setting it up. If you're a novice, this is definitely worth a look. The themes below didn't make our list because they don't directly fit the topic, but they definitely warrant a look. This theme is titled Saved, and you can find it from Church Themes. 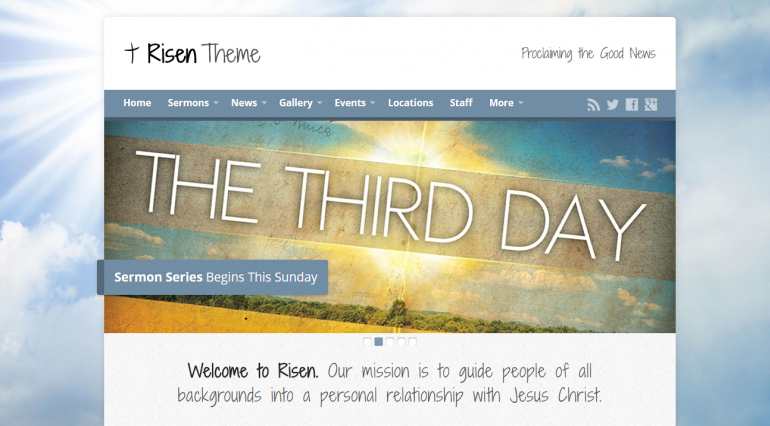 This theme, and the three that follow, are part of the premium Church Themes collection. 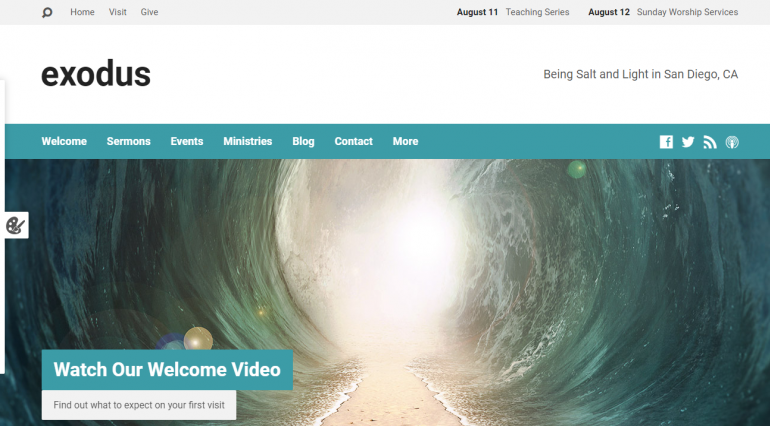 These themes have everything you could possibly want in a church WordPress site. Some of the amazing features: a built in visual design tool, sermon management, event management, multiple locations, staff management, built in podcasting, custom fonts, sermon (and other) archives, permission management, and much more. This theme is fashionable and highly reviewed. It also includes plugins, provides built in search, has many customization options, has map integration, has a drag and drop builder, has a 1-click install process, offers multiple color choices, is skinable, integrates with social media, offers free suppport, and includes multiple layouts. Additional stuff included with Saved are icons, background images, fonts, a slider plugin, custom widgets, AJAX functionality, and demos. Saved is popular with a large user base, so it is easy to get help and support. This theme is simple to configure and painless to use. Saved works well on tablets and mobile devices. It is also multilingual. The drawbacks of Saved and its two sister themes are that it is more expensive than average. This theme is also from Church Themes. Like Saved, this theme, is part of the premium Church Themes collection. Some of the amazing features included with Maranatha: a built in visual design tool, sermon management, event management, multiple locations, staff management, built in podcasting, custom fonts, sermon (and other) archives, permission management, and much more. This theme gets top reviews and includes icons, background images, fonts, a slider plugin, custom widgets, AJAX functionality, and demos. Saved is popular with a large user base, so it is easy to get help and support. Like its siblings, it includes support, and works on desktops, mobile, and tablets. Exodus is another theme from Church Themes. It has all of the same functionality of the two themes above, but the look is somewhat different. See above for more details about this theme. This is another theme from Church Themes. It has all of the same functionality of the themes above, but the look is "urban-inspired". See above for more details about this theme. If you want something more custom than the themes above, you can get a totally custom WordPress church site built for $125 on Fiverr. 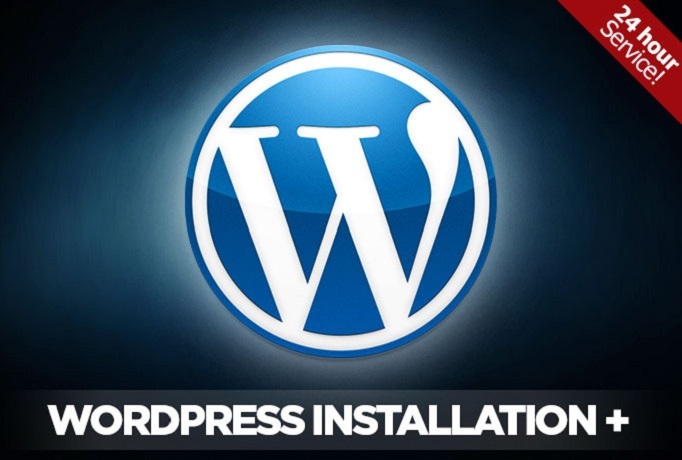 This includes 24x7 tech support, as well as the following features: WordPress installation, security management, content upload, SEO. 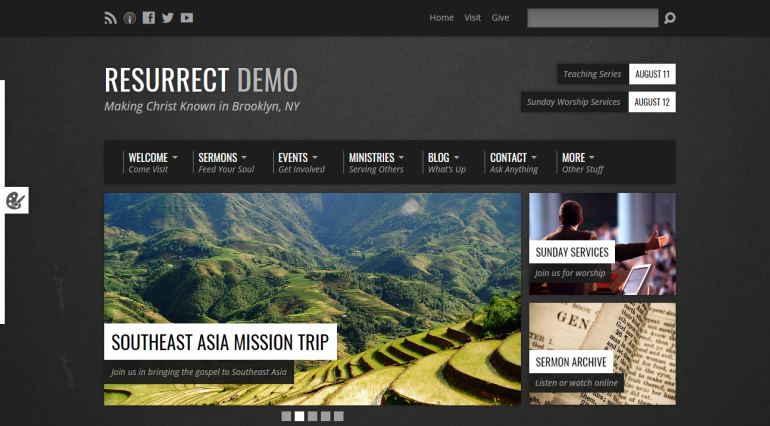 The custom church site includes: sermons, events calendar, donations, testimonials, and more. This is a great deal that's being offered only for churches. It's definitely worth a look if you're not a WordPress expert, or if you want to save some time by having the hard work done for you.